my little baby is turning 2 in may and i've been having loads of fun shopping for presents for her. while she's still young enough, and while i can still be the one who decides what she wears, i've decided to mainly buy her clothes. i timed it well to have her in may, right after all the new season winter fashion has arrived. i am loving this years winter. are you?? i'm also loving the big new world of the wonderful size 2! first on the pressi list was this super cool minti trackie. i have been eyeing this off for a while and was just patiently waiting for it to hit the stores. i just love it and i really do want this in my size! please?! now there's an idea... minti could call the collection, minti mum?! 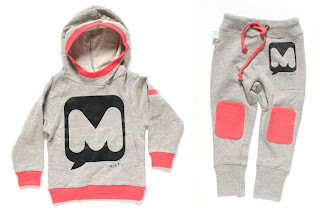 one of the first stores i seen on facebook notifying us of the new minti winter arrivals were mia & ollie, who are a fairly new store, and a new stockist for the minti label. so i got chatting with the lovely owners, sonya and cath, and we decided to come together to offer you gorgeous people a little deal for the minti winter collection. and that being free postage. nice hey? so if you are keen for some free postage, you'll need to head to the mia & ollie facebook page, and in the photos section you'll see the minti 2010 album. to order, leave your name, email address and the size you are after under the image of what you want to order, and put in there referred by yummy mummies, so they know to post it for free. the girls will contact you straight away to confirm your order, grab your details and organise payment. easy. here's a little selection of what they have on offer for you. happy shopping! gumboots are the new black. didn't you know?! and with bright, bold, fun designs making their statement loud and clear, we thought it was only fit that yummy mummies jumped upon the gumboot train so we could offer our gorgeous customers more than just maternity and children's clothing. toot toot! 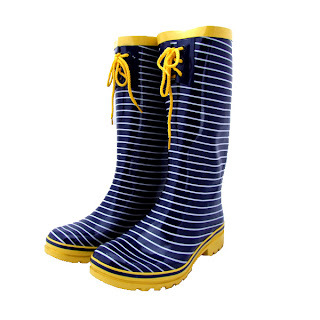 we welcome onboard, rosie roo gumboots (or wellies, or rain boots, or whatever you like to call them)! 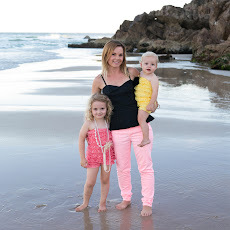 a local mum by the name of jacqui wallbank is the wonderful woman behind the label. she has made women's gumboots that are comfortable, affordable and even a bit daring for some of us. 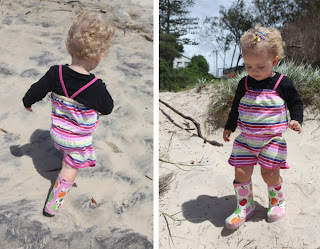 the classic knee length boot is handmade from the highest quality natural rubber, so you won't find cheap synthetic rubber in any rosie roo gumboots. they are screen printed and are cotton lined throughout to ensure comfort. they have a 2.5cm rubber lug sole with an adjustable buckle at the side to create a slim line look. and they are, of course, waterproof. we have 8 different styles in the women's range and you'll find them varying from sizes 4 - 12, for a reasonable $85. my fave? 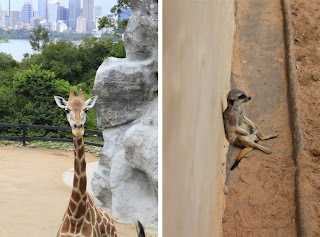 jazz (top picture) and abby (below). 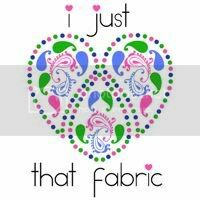 but do pop on over to the site and check out the other 6 designs. however, it doesn't stop at women's gumboots. 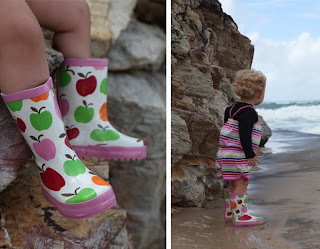 rosie roo kids wellies are a newer line from jacqui and they are just as comfortable and fun as the women's. they are made from the same high quality rubber and cotton lining and insoles, and come in 4 different designs, ranging from sizes 6 - 12, with a cool price tag of $35. 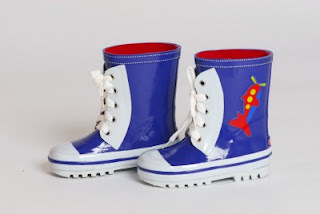 these little rocket lace-up's are the cutest gumboots i have seen yet! you can see the other 3 here. so, if the music festivals are your thing, then now's the time to get organised and glammed up in your boots, and if you're taking the kids too, then gear them up with a pair aswell! or it might be the muddy paddocks, or doing the gardening, walking along the beach, or just splashing around with your mini me's that's more your scene. 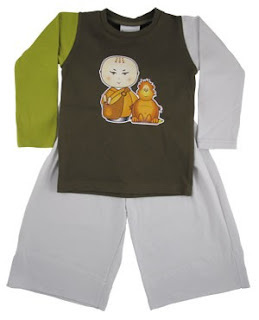 whatever it is, make your statement with the kids this autumn/winter in rosie roo. street wear. i love it. now don't get me wrong, i love ruffles and lace and angels wings too, but there is something about a street wear look that creates total uniqueness. jeans are always a great starter for a street wear look and probably something we all have in the wardrobe. so from there is easy because it's all tee's and accessories! baybo has designed a wicked range of tee's that will help complete the street wear look for your mini me, and i am happy to announce that baybo is now being stocked in our online store. i am personally loving the ami winter tee - japanese style infused into a long sleeve tee. this is going to be one of my daughter's winter wearables once the cooler weather works it's way up north. of course, the baybo branding has a lot more than tee's. they have created hair snap clips, awesome girls leggings with a very cute bubble dress to wear with, a range of juice products which include shampoo, conditioner, hair styler and so yummy you'll want to eat it bubblebath, and even some pj's to keep it all happening in the evenings. 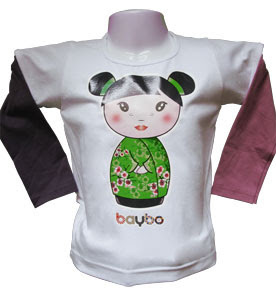 we have all of our baybo items online, so cruise on over and check them out for yourself. i think i am one of the only mum's who doesn't have a massive book collection for their kids, and up until now, we really haven't had the need for a mass of books. summer has about 8 of the baby's first books and they have been really wonderful, she also has a couple of the touchy feely books too, which are pretty cool. over the last few weeks though, we have stepped it up a notch with our reading. we have a handful of 'big girl' books, which include a few from pamela allen. i love the old skool books as it reminds me of my story time and i like that we can infuse some of our childhood memories into our daughter's life. 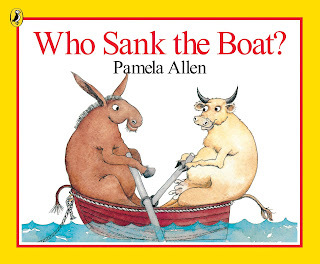 summer is obsessed with who sank the boat. she's at the age now where she actually wants to sit still and have me read her a book while she studies the images. i love it, and now i'm on the hunt to fill up her book shelf with some really lovely books. what books do your children read? i would love some suggestions! 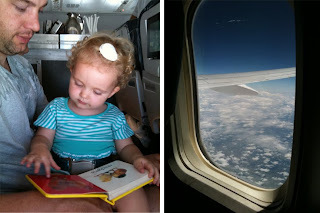 last weekend the family and i headed to sydney so that i could attend the kids in style trade show. this was my first kids/life in style viewing and i really enjoyed it. 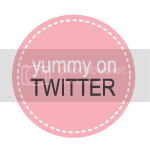 later on this week i will introduce a few new labels to you that we have picked up from the show. 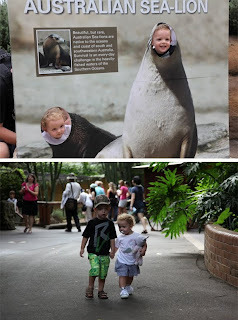 we turned the weekend into a mini getaway and met up with my sister-in-law and her family and took the kids to taronga zoo. i love this age summer is at, where she can place the right word to the right object. i’m sure she was a bit overwhelmed by the zoo at the time, and when we got home and uploaded the photo’s she was right there smiling, pointing out and naming her favourite animals. these were the ‘raffe’ (giraffe), the ‘monking’ (monkey) and the ‘meow meow meow’ (mere cats). how hilarious are those mere cats, i could've stayed there for ages watching these funny animals! it's been such a long time since i've been to sydney, i used to visit there a lot in my mid 20's, but now it just doesn't seem to be a place i pencil in to visit. 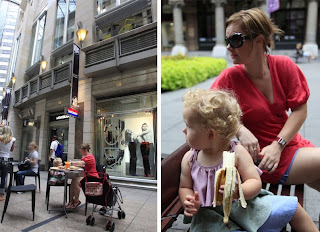 i really enjoyed the city life for the weekend, even with a toddler! i love eating out for breakfast, that's my favourite part of getaway's, and we done just that. we also done a bit of people watching too. ok, we may have done a lot of that! i love seeing what people wear in the city, there are so many different looks, i love getting idea's from them! and the shoes. i love the shoes. i had promised myself i wouldn't make any purchases, and (much to my suprise) i refrained from buying the hot pink converse high tops and these funky pair of sock thong thingy's (thought they'd be kinda cool for gold coast winters). i love watching the buskers perform too, there is some serious talent on the streets and it's always nice to stop from all of the walking we do for a minute and watch these guys do their thing. summer was really good considering she didn't get to have her daily nap each day. this was the first time we had flown with her. she hated coming down in the plane, her poor little ears must have been hurting because she cried both times. now that we've had a little weekend away, i'm already thinking about when i can do it again. i'm thinking maybe melbourne next time, perhaps for the kids in style show later in the year, or for a trip to the footy even! i love receiving beautiful packages in the mail. when summer's penny scallan gumboots (wellies, gumboots, whatever you call them) arrived last week i instantly fell in love. 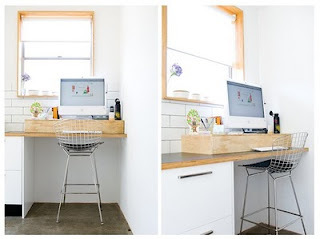 i think they are so cute and fun, i love the bright happy colours of this apple design pair. summer is loving them too, and i'm thinking they will be worn a lot this winter teamed up with her many pairs of huggalugs she has in her drawer - beach, mud, puddles or even to do the groceries. and they will also make for great photo's too! 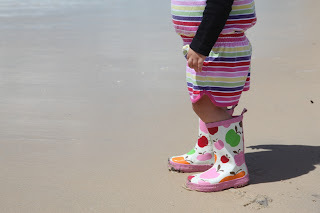 the wellies are cotton lined with a rubber outer, so they are nice and comfy for the littlies feet. they also come in three other designs: simply daisy, navy star and skull. they're $29.95 and available in sizes 6-12. you can check them all out here. 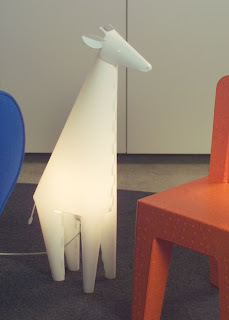 have you seen the new zzzoolight lamps? i got to check them out on the weekend while i was down in sydney for the kids in style trade show. 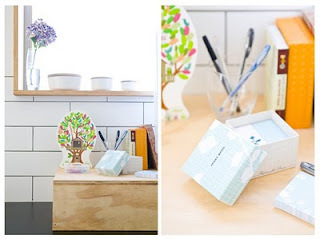 these are so super cool and will really set a statement for any room, be it a nursery, the kids room or the play room. now i am not a cat lover, but ever since my daughter met one of our friends cats, it's all meow meow meow in our house! 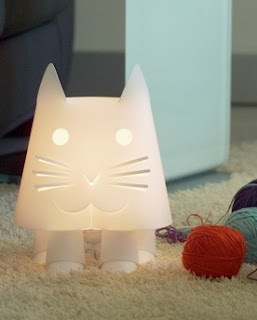 so while we were sitting here, deciding which photo to put up with the post, she pointed at the screen to the cat lamp and said (and it's said really fast with no breath) "meow meow meow meow meow". now how can i refuse that?! 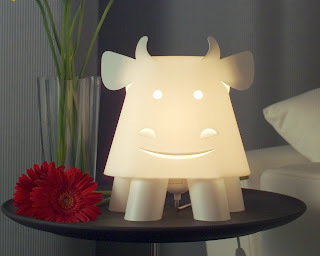 but more about the lamps... my gorgeous sponsor, bubba bling, is a stockist for these funky animal lamps. they are made from polypropylene sheet (so they are pretty much unbreakable), they're low voltage and they don't get hot to the touch. 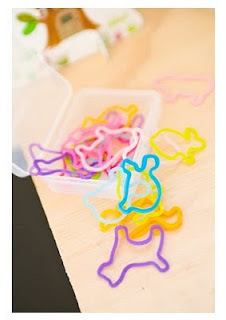 plus, they look cool and the kids will love having their favourite animal with them for bed time! they are $129.95 and you can find out more about them here. some more of my daughter's favourites are the 'raffe' (giraffe) and the 'foof foof' (the cow which she thought looked like a dog). she also like the 'monking' (monkey), however there was no monkey lamp on the screen...? !